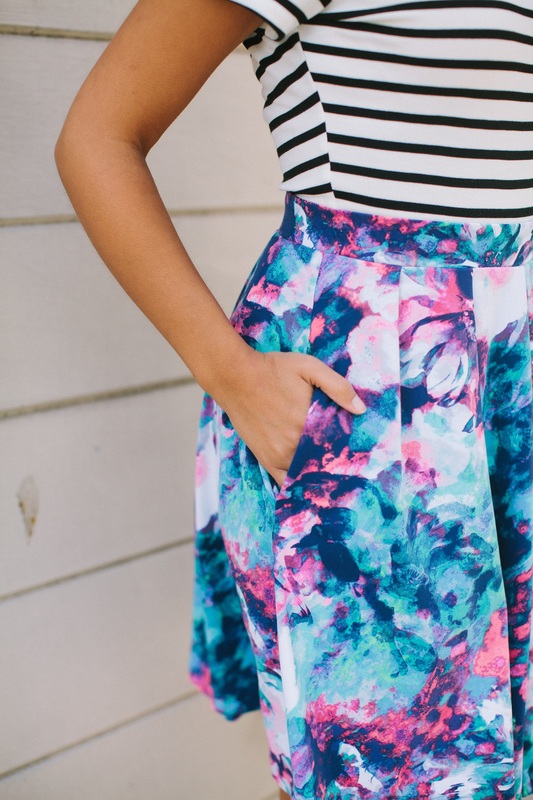 Fall is the perfect time of year to switch out your stripes for more adventurous prints! One trend that has been hot on the runways for a few seasons now is snake print. I found this slithering number a few years back at H&M and I love wearing it this time of year. Unfortunately H&M no longer carries this dress, however I have listed some similar looks for under $50 below! X-A These boots from DSW, are a HUGE fall staple in my wardrobe. They are super comfy and come in so many fun colors, and are under $50! I’m such a huge fan of getting multiple uses out of my clothes. I love being able to wear an item in as many ways as possible. Not only is it a budget friendly way to shop, it’s also a fun way to be creative with your wardrobe. 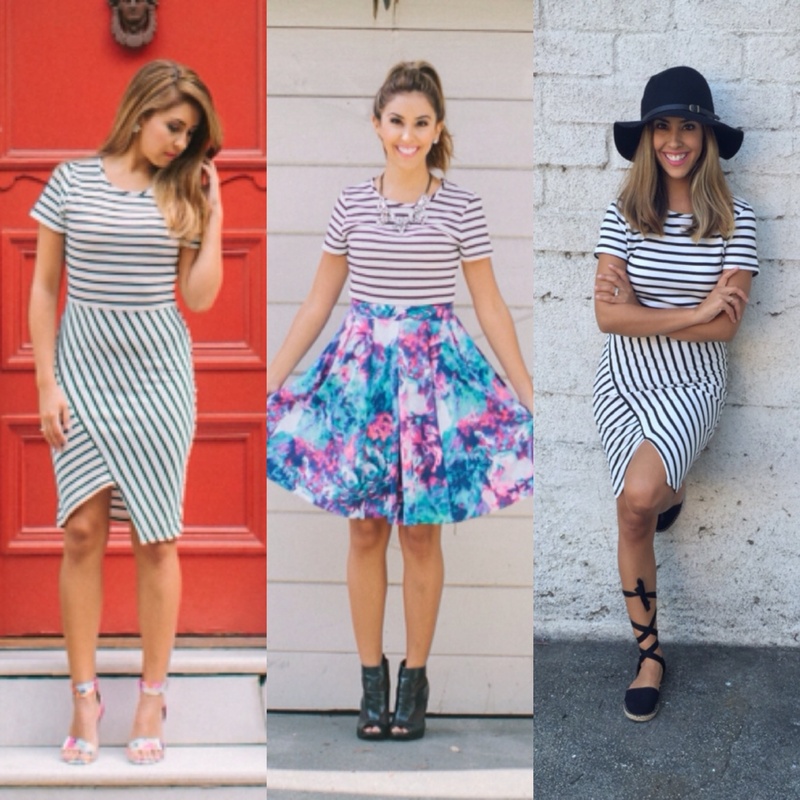 This season, stripes were a HUGE fashion staple, and I was ANA HUNT to find the perfect striped dress. What I love about stripes is that they can be worn all year long! I was looking for a form- fitting dress to fit under a skirt, and found it at Marshall’s for $19! Each one of these looks are under $100. Below I have listed three questions I ask myself before making a purchase. 2.) Is it versatile/ Can I dress it up or down? 3.) Is it a transitional piece? Will it only be worn for one season, or can I wear it all year long? I hope these questions help you, as much as they do me!